I told you I had a fabulous Friday night planned and I did not lie. The Boy and I watched “Backstreet Boys: Show ‘Em What You’re Made Of” Otherwise known as the Backstreet Boys documentary. First though: a bit of a rant. What’s with all of these “Backstreet’s Back” headlines in all of these articles? Maybe it’s accurate to say *NSync was “back” for that lame and all too short 45 second performance that JT granted them at the VMA’s that one time– and maybe you could say NKOTB is back since they took a long hiatus to do whatever you do when you’re New Kids on The Block and you stopped making hits– but Backstreet Boys? They aren’t “back” because they didn’t go anywhere. Those swoon worthy singers have been serenading me (through cds, the radio, my iPod and Pandora) for the past 22 years. There was no break, so therefore there is no comeback. 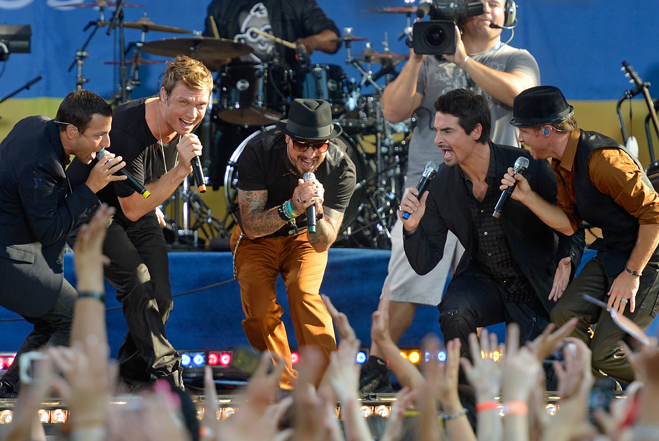 However, it is safe to say that Kevin (Richardson) is back because he did leave the group… for six years. and I have to confess, I take FULL credit for his return. 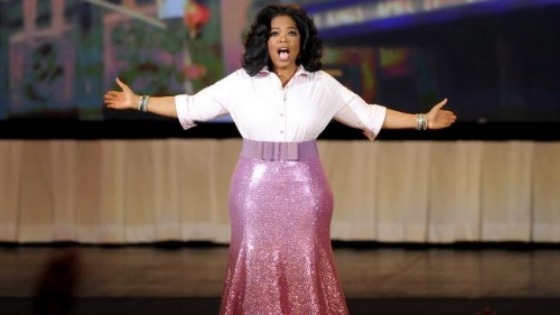 It was the fall of 2010– otherwise known as Season 25 of TOWS (The Oprah Winfrey Show). 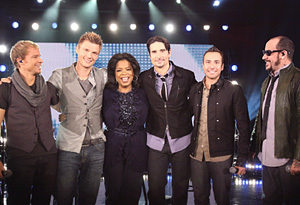 The Backstreet Boys were B-Double-O-K-E-D.
At this point in time however, BSB was still sans Kevin but being as this was the final season of Oprah and the Boys had been on the show a few times throughout their career, they reached out to Kevin to come back and perform for Oprah’s final season. AND, the real reason this story is a happy, glorious and joyful one? After that show, Kevin joined the group again and they put out another album! Okay, so I think it wasn’t like immediately after that show BUT I do think there is a VERY strong case that it was precisely because of the show and Kevin reuniting with them again just for that performance that the lightbulb moment (or as Oprah calls it- the a-ha moment) went off for our buddy ‘ol pal Kev and he before we knew it, he was Back. 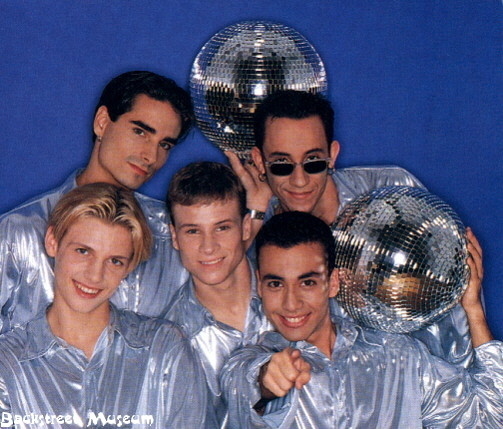 Like Backstreet’s Back. Alright! Watch it. 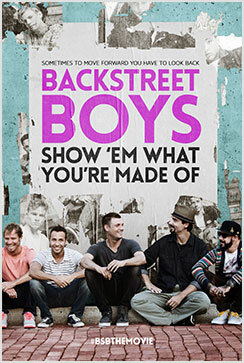 No seriously, even for non-fans, their doc “Backstreet Boys: Show ‘Em What You’re Made Of” was fascinating. It spends a good amount of time going back to each of their roots while showing tons of videos from the early early early days and explaining the whole Lou Pearlman fiasco. And while I would have liked to see and hear a bit more about how they felt once everything seemed to come to a screeching halt for them in 2003 and how it must feel to go from being on top of the world to well, not so much pretty quickly- overall it was cool to see just how hard these guys have worked and where they’ve come from. It serves as a great reminder that no matter what you do (or dream to do) in life, there is no such thing as becoming an “overnight” success. 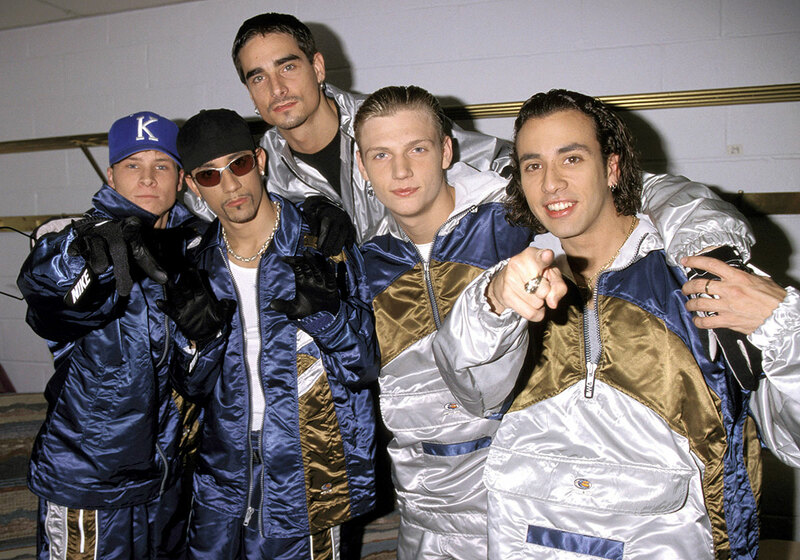 While in the late ’90s it seemed like Backstreet Boys exploded from oblivion to super-stardom at the snap of a finger, this doc shows the endless hours, sweat and horrible outfit choices (and boy were there a lot of those) that went into making that success look sudden when really it was anything but. Soo the moral of the story here: if you’ve got two hours and you want to relive the glory days of the late 90s/Y2k while picking up some interesting facts along the way, I’d say rent this bad boy. And, of course, you can send me a thank you for Kevin’s return to the group any time you please.